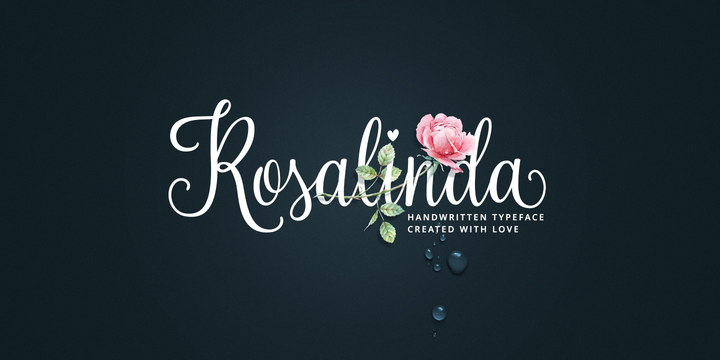 Rosalinda is a modern calligraphy typeface created by Elena Genova and published by My Creative Land that is ideal for wedding invitation design. Create with love, it can be explored using Adobe Illustrator, Adobe InDesign, MSWord, Adobe Photoshop etc. It comes in over 900 characters and multilingual support. Enjoy! A font description published on Tuesday, June 23rd, 2015 in Elena Genova, Fonts, MyCreativeLand by Alexandra that has 4,585 views.